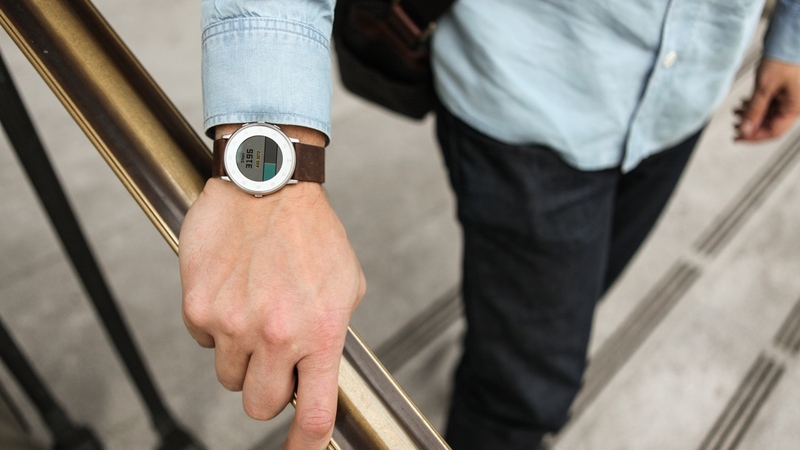 Pebble has a bunch of new features heading to Pebble Time users from today. For starters, it's opening up its Health API so that third party apps and watchfaces can show your steps, distance and sleep data from Pebble Health. Pebble says there is already a Health-enabled watchface in its app store and, in terms of tracking, this is now more accurate too. You can also toggle between seeing miles and kilometres for distance in your smartphone app. There's a few message related improvements too. So, iPhone users can now send preset replies to text messages and Android users (who already have custom responses) can now send a voice reply, emoji or preset message when they can't pick up a call. MMS messages on all Pebble Time watches now include the text too. Also new is a Send Text app for Android owning Pebble Time users - it sounds a bit like how contacts are handled on the Apple Watch, or Together on Android Wear from the description. It allows you to send a quick voice note/emoji or preset message to recent and favourite contacts. Elsewhere, the Time and Time Steel now have quicker animations/transitions which makes sense - they're cute but do take a touch longer than necessary. Pebble's Low Power Mode is already pretty great at just showing you the time when your smartwatch is about to run out of juice. Now it has a new look and alarms, the display's backlight and soft vibrations keep going while Bluetooth and tracking switch off. Battery warnings also now come as time left instead of percentages. All nice additions. It's another example of Pebble, like Android Wear, rewarding people who got in early with these smartwatch platforms, and stuck with them. To get the new features, update your Pebble Time app to the latest version - 3.9 for Android, 3.6 for iPhone then update your smartwatch to version 3.9 of Pebble's firmware.